This happy baker and dozens of whimsical cupcakes are ready to celebrate all occasions. Use to teach months of the year and celebrate birthdays and accomplishments. 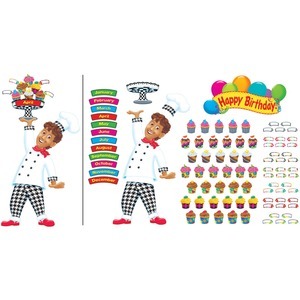 Bulletin board set includes three-piece baker, 38 cupcakes, 38 name tags, 12 monthly headers, cake plate and a Happy Birthday header. Baker stands 48" tall when fully assembled. The included Discovery Guide provides creative activities that teach and delight. 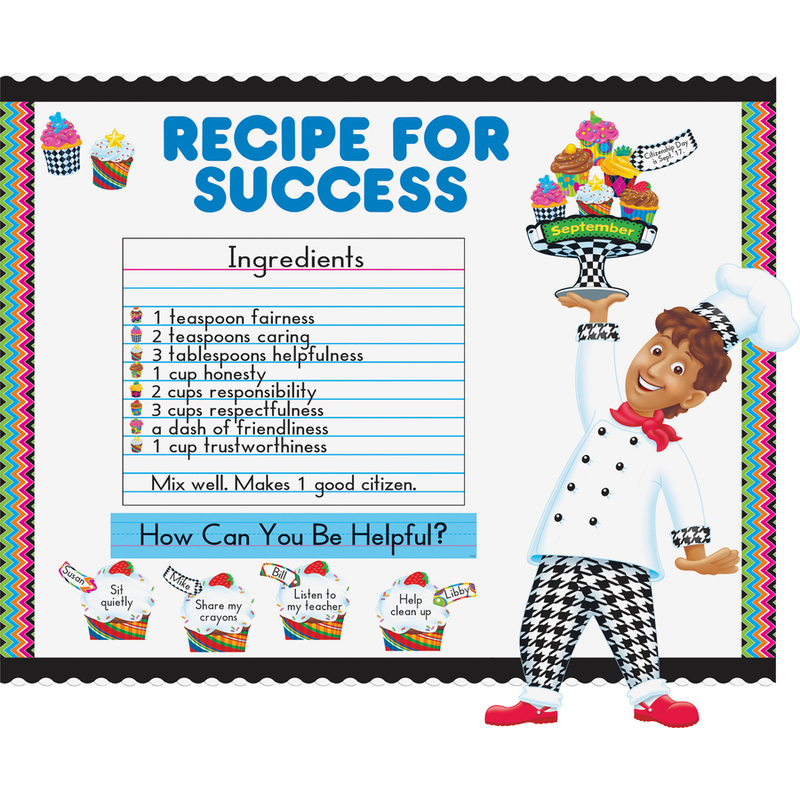 The Happy Birthday Bake Shop bulletin board coordinates with The Bake Shop Collection.